Deacon Greg was ordained a deacon in 2004 and has served at St. Bernard Parish, Appleton and St. Nicholas Parish, Freedom. He is originally from Fort Dodge, Iowa and attended Sacred Heart Elementary School and Saint Edmond High School in Fort Dodge. He has a Bachelors degree in Civil Engineering and a Masters degree in Environmental Engineering from Iowa State University. He also has a Masters in Theological Studies from St. Norbert College. 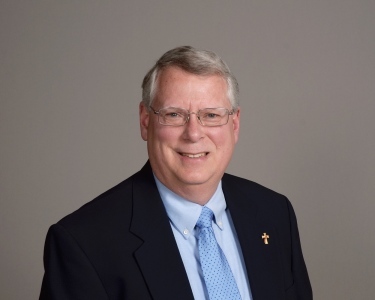 Deacon Greg has also lived in Kansas City, Missouri; Madison, Wisconsin; and southern California. He and his wife Annette currently live in Appleton. They have one daughter Naomi. Deacon Greg assists at weekend Masses and can conduct weddings and baptisms.